Early when we found out my son had SPD, a group of pediatricians cast doubt on the usefulness of occupational therapy in helping kiddos with Sensory Processing Disorder. Please raise your hand if you’d like to be the first one in line to slap these folks. They meant well, but don’t all of these morons mean well? From the competitive sister with well-behaved princesses to the mother-in-law who, just because she raised her own kids, suddenly knows everything about children, which includes SPD. And now we have to address yet another faction of the medical community – our own pediatricians. Look. I get it. Where’s all the science that empirically proves that OT helps kids with sensory issues? 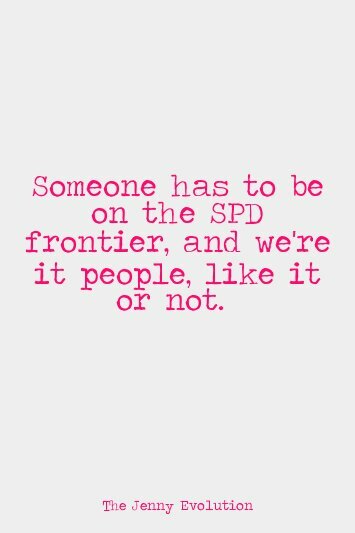 Or that SPD even exists? I’m a person who believes in science. Show me the proof or go home. But I’m here to tell you that Sensory Processing Disorder is real and has existed for quite some time. We’re just starting to understand it. Walk into any waiting room for pediatric OTs and you’ll find a dozen mothers who can tell you their daily challenges and how occupational therapy has positively impacted the lives of their children as well as their own lives. They are not people grasping at straws. They are parents who have personally experienced the power of OT over time. Someone has to be on the frontier, and we’re it people, like it or not. And just as with any frontier, there are going to be doubters, questioners and nonbelievers. Remember, until 1980 Autism was diagnosed as childhood schizophrenia. And think about what little we know about Autism today. It’s going to take some time for the general public to catch up. It’s just a crying shame that we have to fight the medical community as we move forward. Hi! 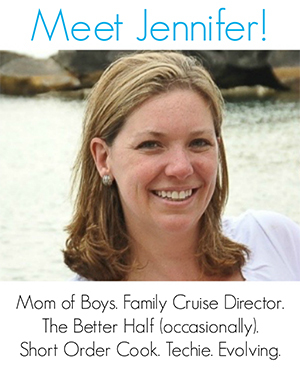 I am a childrens psychologist and a mother of two children with sensory processing disorder. I live in Mexico City and I want to share my winderfull experience both as a mother and as a professional in what ot and si has made for my kids my family and lots of patients!!!! I belive in it because I have sern the results, better I live with the amazing results of thid kind if tratment.